Dry Eye Syndrome is very widespread, and, all the more so, dry eyes in Lakeville is very prominent due to the harsh winters and constantly being in centrally-heated environments. For some people, the symptoms of dry eyes are minor. Perhaps a bit of soreness or inflammation. For others, however, Dry Eye Syndrome can be a chronic eye condition with frequent pain, inflammation, distress, and even corneal damage. In extreme cases, the eyes are very gunky and highly inflamed and painful. In such cases, the cornea itself can be damaged over time. There is Hope for Dry Eyes in Lakeville! Dr. Mattson and his team of Lakeville eye doctors have extensive experience in treating dry eyes. Using the latest diagnostic tools and techniques, we will diagnose the cause of your dry eyes and begin a personalized treatment plan for you right away so that you can get the relief you need fast. What Causes My Dry Eyes? What is Meibomian Gland Disorder? In 80% of cases, Dry Eye Syndrome is caused by some problem with the meibomian glands, which produce the lipids (oils) essential for proper eye lubrication and for maintaining the appropriate breakup time (evaporation rate) of tears. The glands can get blocked or even atrophy by infection, environmental factors, and lifestyle. Does Dry Eye Affect Many People? Dry Eye is a very common condition which we treat in our practice. Some recent research by Harris Interactive indicates that about 70% of people with dry eye don’t ever see an eye care professional, despite the fact that nearly half of all Americans suffer from dry eye symptoms to some extent on a regular basis. This is unfortunate as most patients stand to benefit immensely from appropriate treatment for dry eyes. At our Lakeville eye clinic, we develop a custom treatment plan for you, tailored to treat the specific causes of your dry eyes. Dry Eye Syndrome has probably always existed, especially in the presence of environmental factors such as dust, cold, dryness, and, pollution. However, it seems to been getting more common and more severe, particularly over the last decade. One likely reason is the explosion in the use of digital devices. More and more, we spend many hours of the day continually looking at computers, smartphones, and digital televisions. This makes us stare for long periods of time while blinking much less than normal. Infrequent blinking, in turn, causes our meibomian glands to be blocked and even atrophy, resulting in serious and chronic dry eye syndrome. The widespread use of contact lenses is likely also a contributing factor. Long days of use, combined with improper care and cleaning irritates the eyes and contributes to dryness and discomfort. Various medications, becoming more widespread, also have side effects including dry eyes. Lastly, age is the most common contributor to developing dry eyes. As we live longer and longer, the rates of dry eyes are bound to increase. Proper eye lubrication and comfort requires tears that have the right balance between water, salts, and lipids―the oils produced by your meibomian glands. TearLab is a special device used to test that balance. In most cases, Meibomian Gland Disorder is the chief culprit for dry eyes. This occurs when there is some kind of blockage, infection, or atrophying of the glands which disrupt the ability of those lipids to be present. A lack of these lipids causes your tears to evaporate faster than they should. The TearLab tests the osmolarity of your tears. Another tool used by our dry eyes experts is InflammaDry, which tests the level of inflammation in your eyes. This dry eyes diagnostic tool tests whether or not a patient has elevated levels of something called MMP-9 in their tears from the inner lining of the lower eyelid. MMP-9 is a protein which indicates inflammation, which is fairly common for anyone suffering from dry eyes. Our Lakeville eye doctor will typically prescribe steroids in order to get the eye inflammation under control. Dr. Mattson, or another of our Lakeville dry eye doctors, will also test your tear-breakup time. Essentially, if the makeup of your tears is off, they will sometimes simply evaporate before they can work effectively. Our eye doctors test your tear breakup time, using a fluorescein orange dye ― which is also useful in spotting other corneal diseases, conditions, or foreign bodies. Our optometrist will gently touch your eye with a tiny amount of special blotting paper. As you blink, the dye will spread and painlessly coat the tear film which covers the cornea. Using a blue light to contrast with the orange dye, the eye doctor is able to see problems revealed in green. Certain medications are known to contribute to dry eyes. In particular, anti-histamines (allergy) medication. Prolonged use of antihistamines will often lead to dry eye symptoms developing. Typically prescribed for controlling blood pressure, beta-blockers are proven to cause or exacerbate existing dry eye symptoms. If you are taking beta-blockers and experiencing symptoms, let us know! Your Lakeville dry eye doctors can help. A recent study about the correlation between migraines and dry eyes has interesting results. Comparing migraine sufferers to people without headaches. The results showed a much greater prevalence of dry eye in the migraine group than in those without headaches. So, researchers are speculating that some migraines may worsen when dry eye symptoms are present. It has been recently hypothesized that when people report on headaches these could actually be caused by dry eyes, amongst other factors. However, it is unclear whether one causes the other, or whether computer use is a contributing cause of both headaches and dry eyes. As we age, we experience hormonal changes. These changes are known to cause or contribute to dry eyes. While this is true of both men and women, it seems that women over 50 are particularly more prone to developing dry eye symptoms. Various diseases contribute to dry eyes. Autoimmune diseases are a known factor. Rheumatoid arthritis, and Sjogren’s syndrome – a common symptom that rheumatologists treat can also contribute to dry eyes. Diabetics or those with Glaucoma that requires medication are more likely to have dry eye syndrome. The 20-20-20 Rule! During prolonged computer or digital device use take 20 seconds, every 20 minutes, to look at an object at a distance of at least 20 feet away. This gives your eyes a needed rest. Drink adequately. Women need at least 91 oz. of water a day. Men need even more. Omega 3 fatty acids have been shown to decrease dry eyes symptoms. Fish and flax are good natural sources of Omega 3 fatty acids, also available in tablet form. Omega 3 vitamins are very well-known to be good for general health, and heart health, but they are also helpful in treating dry eyes. There are even formulations specific for dry eyes. These usually consist of Omega 3 with DHA from flaxseed oil and includes vitamin C, vitamin E, Vitamin B6, magnesium, and a variety of other vitamins specifically geared toward patients with dry eyes. At our Lakeville Dry Eye Clinic, we recommend HydroEye. This supplement contains the ideal mix of omega-3 fatty acids combined with various antioxidants and vitamins. This formula is effective in easing the symptoms of dry eyes as well as protecting against it. In cases of chronic dry often, we often see patients who have a decreased ability to produce tears. This occurs because of the constant inflammation they experience. Unlike simulated tears, Restasis and Xiidra are prescription eyedrops which are both proven to increase the eye’s ability to make its own tears. Instead of having to constantly replenish your eyes’ moisture, with Restasis or Xiidra you are actually stimulating your eyes to make more tears over time. Our eye doctors are experts in treating dry eye syndrome and will diagnose and guide you through the right treatment plan for you. You don’t have to continue to suffer. Book an appointment with our Burnsville dry eye specialist today. Xiidra is a newer drug that has recently received FDA approval for the treatment of Dry Eyes. Clinical studies have shown it to be significantly effective in alleviating symptoms, and it works far faster than Restasis, providing significant relief within as little as 2 weeks without the side effects of Restasis. However, the long-term benefits for dry eyes have yet to be conclusively proven. At our Lakeville Dry Eye Clinic, we typically recommend Restasis. Click here to learn more about Restasis. At our Lakeville eye clinic, our optometrists occasionally use punctal plugs to treat dry eyes. For those suffering from dry eyes caused by a lack of tears (as opposed to meibomian gland disorder) can often benefit from punctal plugs. These are small devices that are inserted into the tear ducts to slow or even block the drainage of tears. This increases the tear-film and moisture present in the eyes. Scleral lenses are a special contact lens that is large. 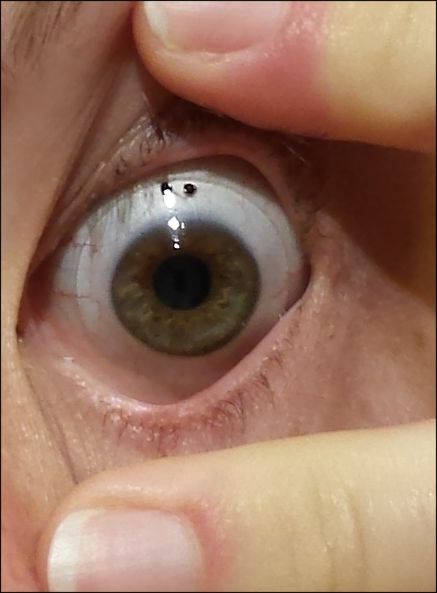 It sits on the sclera, rather than the cornea, leaving a pocket of space over the cornea. In our Lakeville eye clinic, our optometrists use scleral lenses to treat a variety of eye conditions, including keratoconus and for people with sensitivity to regular contacts. Scleral lenses are highly useful in treating Dry Eyes. Studies have shown that the use of scleral lenses is effective in treating moderate to severe dry eyes. In more than 50% of cases, patients fitted with scleral lenses report reduced discomfort and dry eye symptoms, decreased use of artificial tears and improved visual acuity. The results of using an amniotic membrane to treat dry eye are dramatic. At our Lakeville dry eye clinic, we make use of both wet and dry membranes, which differ slightly in use. Both types offer significant, dramatic, and real healing and relief for inflamed and scarred eyes due to dry eyes. The use of amniotic membranes is a gamechanger in the treatment of dry eyes. Do You Live in Lakeville, Prior Lake, or Farmington and suffer From Dry Eyes? 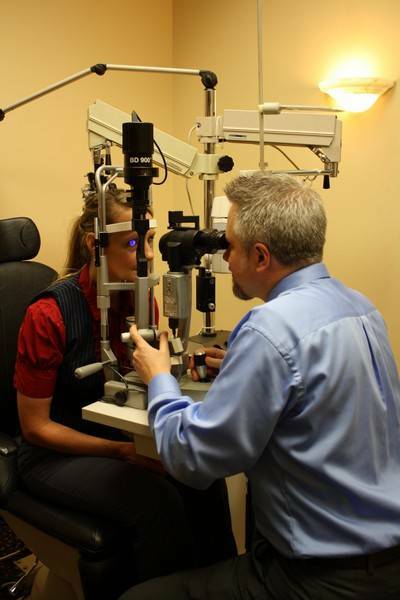 Doctor Andrew Mattson is the owner and founder of the Lakeville Family Eye Care Dry Eye Treatment Center. His practice provides advanced treatment of Dry Eye Syndrome in his Lakeville eye clinic, in addition to primary eye care, advanced care, cataract and LASIK co-management, and advanced contact lens fittings. After graduating from Apple Valley High School, Doctor Mattson earned his B.S. degree in Physics from the University of Minnesota – Duluth . He then performed three years of graduate school in Biochemistry at the University of Minnesota – Twin Cities before obtaining his Doctorate in Optometry from the Illinois College of Optometry in the spring of 2001. While in optometry school, Doctor Mattson was inducted into the Tomb &amp; Key Optometric Honor Fraternity (based on character, leadership and success in optometric studies) and the Beta Sigma Kappa International Optometric Honor Society (based on academic excellence). In addition, he received the Robert C Morrow Scholarship (based on professional promise and academic achievement), and the Exceptional Tudor Award (based on his efforts as a tutor and/or teaching assistant in the areas of sensory, color vision, binocular vision, biochemistry, and ophthalmic optics). Doctor Mattson also participated in vision screenings for inner city school children and vision awareness programs. Doctor Mattson obtained clinical honors at the Illinois Eye Institute in low vision. He achieved honors during his externships in the treatment of Ocular Disease at the Wolfe Clinic ( Ames, IA ), Pediatric &amp; Binocular Vision Disorders at the Black Hills Regional Eye Institute ( Rapid City, SD ), and in Primary Care at the VA Medical center (White River Junction, VT). Doctor Mattson and his wife Chialing have enjoyed Madelynn (born 2005) and their newest addition Leo (born 2007). Dr. Mattson plays on a local fastpitch team. Doctor Mattson is excited to be back to Lakeville and the South Metro Area as his great great grandfather originally settled in Lonsdale, MN from what is now the Czech Republic. He still has family in the area to this day and has a particular penchant for Kolachke.